Children’s National Health System is a pediatric care provider in Washington, D.C. For over 140 years, Children’s National has pioneered new therapies and treatments across a wide array of medical specialties, from neonatal services to cancer care. The Children’s National Cancer Center is a very busy outpatient clinic, with 100+ providers, seeing 200+ patients each day. At Children’s National, successful cancer treatment is not just about delivering medication, but also about providing a friendly, comfortable environment where patients can feel safe for the duration of their treatment. This includes providing art and music therapy to patients while they wait. When a child comes in for cancer treatment, the visit often is a multi-step process that takes hours. Accompanied by their parents or other caregivers, patients must sign in, give vital signs, have blood drawn, wait for lab results, see clinicians, and perhaps sit through lengthy chemotherapy infusions. There were so many moving parts going on at one time. Lab results might take an hour or two and patients would get bored and wander. Or, they might leave the unit for radiology or some ancillary service and would need to be tracked down at every turn. Children’s National spent too much time simply looking for their patients. The excessive wait times, and a general lack of information made for a less than pleasant patient experience. The clinical processes had become inefficient and there was no data to track the patient flow to find and fix bottlenecks. Children’s National wanted to make the system more transparent to families, making it possible for everyone to know where they stood in line to be seen by their providers. Children’s National tackled the challenges inherent in paper-based information flows—and in the process also increased its own staff efficiency. The Savance Health Staff Tracking solution was used to improve communication and workflow, and healthcare team organization. This significantly decreases patient wait times and increases patient satisfaction. Savance Health deployed customized solutions: Patient Self Check-In, Waiting Room Display, and Patient Tracking & Flow solutions, helping Children’s National completely transform the workflow of its cancer and blood disorders unit so that when a patient arrives at the clinic, their adult caregiver signs them in at an easy-to-use touch-screen kiosk. Savance Health Patient Self Check-In can pull information straight from an ID card, a driver’s license, or an insurance card, and easily fill out the patient’s address, phone number, current doctor, current medications, insurance, and date of birth. The solution delivers two key benefits: accurate and complete patient information – acquired through a patient-friendly process. Once the patient has signed in, Savance’s Patient Tracking & Flow solution takes the mystery out of clinical workflows and patient location. The software tracks where patients are at any given time, and how much time they spend in each area. A display screen in the waiting room —with patient names symbolized by pictures of animals to maintain confidentiality— tells families how many patients are ahead of them to see their specific provider. Another screen in the clinic workroom shows where patients stand in the day’s workflow. This allows Children’s Health not only to find patients quickly without searching the building, but also to see where process breakdowns occur and take steps to increase workflow efficiency. 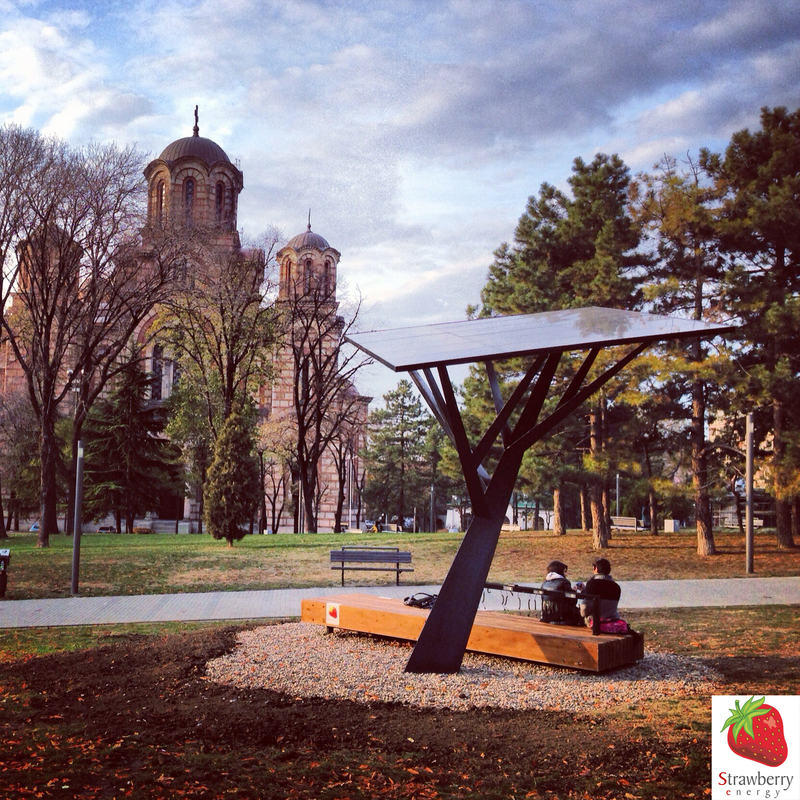 Strawberry Tree hangout is a solar urban device and a smart city platform. It provides free mobile phone charging, WiFi Internet, local information, and environmental sensing. It can be built in parks, campuses and city squares. It brings the IoT to outdoor public spaces that people visit daily. Using different environmental sensors, it collects data about its surroundings and send it to the cloud platform using its on WiFi. As backup power source, Strawberry Tree offers energy in emergency cases when the grid is down. Sustainable issue: With the past centuries reliance on plastic and the more newly findings of plastics non biodegradable and environmentally toxic components, new materials are needed. In order to find biodegradable and non toxic materials research is being done at the nano level to determine how a material will effect the environment. Being able to test a nano material will lead towards smarter and cleaner decisions as new materials are being made and brought into our supply chain. -Private companies: manufacturing companies who will us nano materials to replace current non environmental friendly materials. -Because of the low cost of a ‘natural’ sensor, the worm, funding should be able to be absorbed by private companies, R&D divisions, fairly easily. Additional funding can come from NGO’s, if needed. -Government agencies for funding and regulation. -Humane and Animal Rights Organizations. -Connect private companies with NGO’s and Educational Institutions that are spear heading ‘worm sensor technology’ research. -Fine tune the metrics. How much ‘sluggishness’ equals levels of toxicity in a material that is prohibitive. -Establish state and federal regulations to monitor companies using this new technology. Diabetes is a growing problem in the world. As of 2014 approximately 387 million people had diabetes and the numbers are increasing sharply. In fact by 2035 it is expected to have 592 million people with this condition. Diabetes is a chronic disease, and there is not cure for it. People with diabetes must maintain their sugar levels under control. Uncontrolled blood sugar puts diabetic people at risk for dangerous complications. A person with type-1 diabetes must tests their blood sugar levels between four to eight times per day. This implies testing blood drops throughout the day. This is disruptive and painful and as a result many people with diabetes do not monitor their sugar level as often as they should. On January 2014, Google announced their Smart Contact Lens project. The project aims to assist diabetic people by constantly measuring their glucose levels in their tears. The technology is less invasive than any devise in the market. It uses a tiny wireless chip and miniaturized glucose sensor. Information about blood sugar levels could be uploaded to smart phone devises. On July 2014, the Google team announced a partnership with the European Drug maker Novartis to create products from Google’s prototype smart contact lens. And on May 2015, Google has been granted a patent for this technology. Currently they are working with different versions of the prototype and they expect to put the technology in the market in 5 years. Lobby with the Food and Drug Administration to obtain a license to launch the product to the public. Work with the International Diabetes Federation to inform diabetic people about the technology. 1 in 3 New Cars in Norway are ELECTRIC! 1) Energy: We are in dire need of finding sustainable energy solutions in order to move away from the rapidly depleting fossil fuels. In Norway, 8,112 new electric cars have been purchased so far in 2015, which means that every one in three new cars bought in Norway in 2015 has been electric. In the US, 15,000 new electric cars have been sold so far in 2015, meaning one in every 100 new cars in the US has been electric. Norwegians who opt for an electric car are given many benefits, including: they don’t have to pay VAT and purchase tax on the car (usually an additional 50% of the price of the car), they get FREE CHARGING, free parking, and free use of the bus lanes! Norwegians are loving these benefits and responding in a big way. As a result, the Norwegian government is now changing the benefits, since it will have a hard time keeping up with this kind of success. Starting in 2018, electric car owners will have to start paying half of the road tax, and in 2020, they will start paying the road tax in full. 3) Organizational stakeholders: Norwegian citizens, Norwegian government, Norwegian companies, utility companies, energy providers, car manufacturers, car salespeople, charging station manufacturers and operators, parking lot owners, Department of Transportation, other countries who want to emulate Norway’s model, etc. Continue to provide incentive opportunities for drivers to continue to purchase electric vehicles. Provide incentives for car manufacturers and salespeople to expand the electric car market. Assess ease and availability of charging stations and continue to expand for driver convenience. 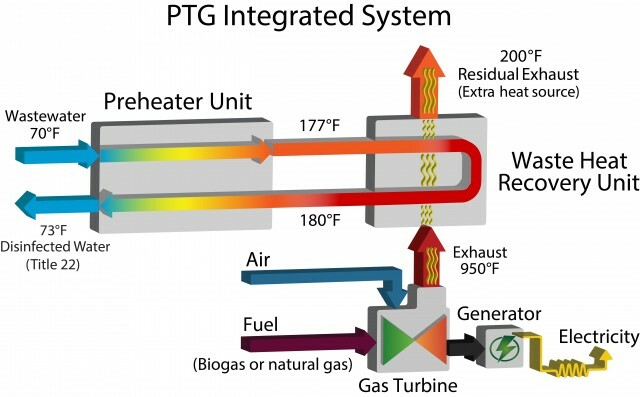 Energy optimization/efficiency is needed to fulfill the growing needs of the over 50% population in urban areas while considering the climate change impacts of energy usage. By installing sensors to collect various data sources from energy users, a city can study trends and provide better services. IOT with logic can coordinate public transport energy efficiently and facilitate timelines. 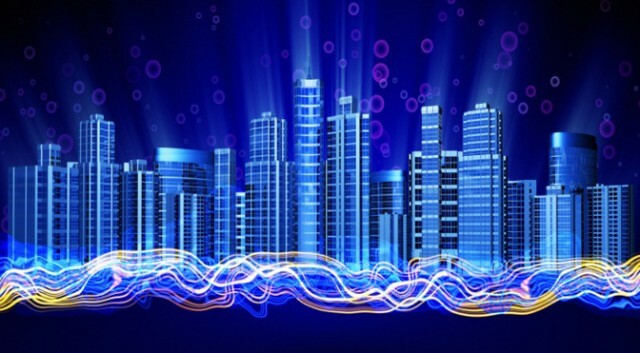 Buildings can instal occupancy sensors to reduce HVAC and lighting usage. Identity the data streams and integrate the logic of the various systems. Utilize a test case in one building, install sensors and computer systems. Coordinate test cases for public transit. Create a fully datafied society.